it is approximately three feet deep. television, Astrocade system, and games! It's a very sturdy piece! 3. The marquee of the kiosk is lighted - just like an arcade game." - From "Rick and Patty Online!" Notice that "The Incredible Wizard" cartridge running for promotion. This picture is quite large (1.8MB). 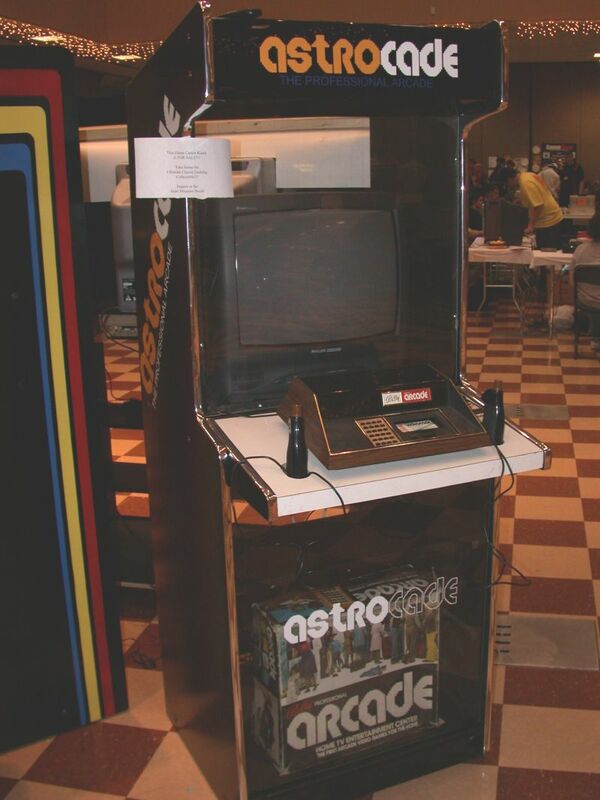 This homebrew Astrocade Kiosk was built by Curt Vendel and was displayed at the Philly Classic 3 (April 26-27, 2002). 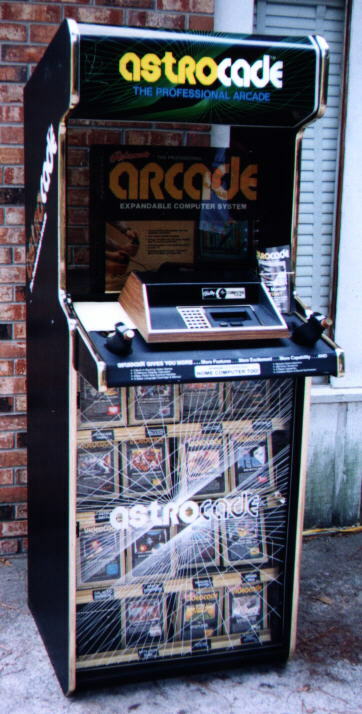 In April of 2002 Curt posted several articles about how he created three different store kiosks for three classic game systems: Astrocade, Colecovision, and Odyssey 2. The article on his website, atarimuseum.com, is here. 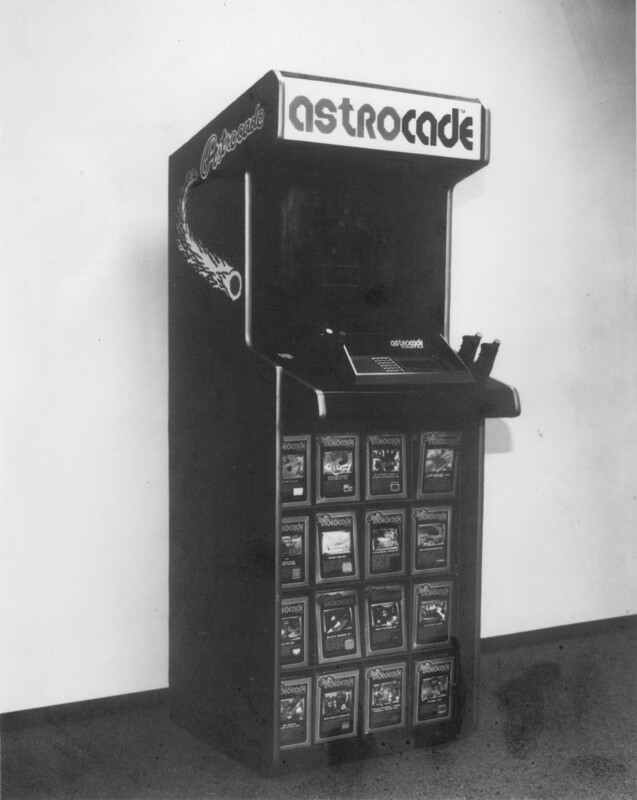 With Curt's permission I have added a local version of the Astrocade Kiosk section to BallyAlley.com, here.